Inflammation plays a central role in healing, but left to run wild, this process can lead to arthritis, heart disease, and Alzheimer's. Inflammation is like a fire in your body you cannot see or feel. "It's a smoldering process that injures your tissues, joints, and blood vessels, and you often do not notice it until significant damage is done," says Dr. Andrew Luster, of the Center for Immunology and Inflammatory Diseases at Harvard-affiliated Massachusetts General Hospital. The damage might show up as arthritis, heart disease, stroke, and even Alzheimer's disease. However, inflammation is not evil per se. It has an important role in how your immune system keeps your body safe and healthy. "The goal is to keep inflammation in check and not let the fire run wild," says Dr. Luster. There are two types of inflammation: acute and chronic. Most people are familiar with acute inflammation. This is the redness, heat, and swelling around tissues and joints that happens when you cut your finger or bang your knee. When the body signals an injury, your immune system sends out an army of white blood cells to surround and protect the area. The process works the same way if you have an infection like the flu or pneumonia. "Acute inflammation is how your body fights invaders that may cause infection, as well as being a part of the healing process," says Dr. Luster. "In this way, inflammation is a good thing, because it protects the body." Chronic inflammation, however, is different. 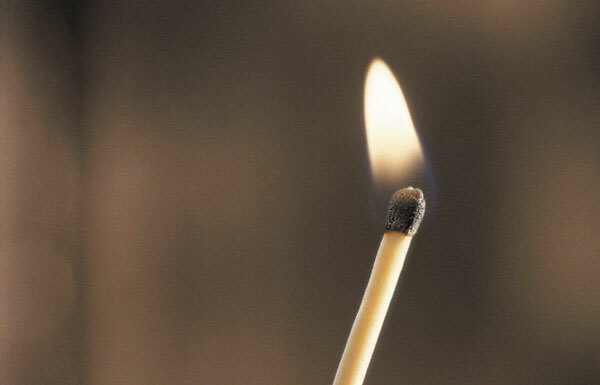 The same reaction as in acute inflammation takes place, except now the flame persists. White blood cells flood the problem area and end up attacking nearby healthy tissues and organs. Do you suffer from chronic inflammation? A simple blood test from your doctor may tell you. It measures a liver chemical, C-reactive protein (CRP), which rises in response to inflammation. 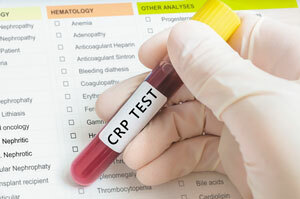 Often a CRP level of 1 to 3 milligrams per liter (mg/L) signals a low, yet chronic, degree of inflammation. Levels higher than 3 mg/L indicate a high risk of inflammation. The result can help your doctor devise a strategy to lower your levels. For example, if you are overweight and have more visceral fat cells—the kind of fat that builds up in your abdomen and surrounds your organs—the immune system sees those fat cells as a threat and pumps out more white blood cells. The longer you stay overweight, the longer your body remains in a state of inflammation. The fire just keeps burning. "This reaction is not confined to one particular place either," says Dr. Luster. "Inflammation can travel throughout the body and cause problems all over. If you get arthritis or heart disease, odds are chronic inflammation is a contributor," he says. Treating high cholesterol. Get your levels tested, and speak with your doctor about taking statins to keep lipids under control if they are deemed too high. Quitting smoking. This is good, all-around health advice. More specifically, the toxins from smoking have a direct link to inflammation. In terms of diet, you want to subtract and add. Cut back or eliminate simple sugars (like soda and candy), beverages that contain high-fructose corn syrup (like juice drinks and sports drinks) and refined carbohydrates (like white bread and pasta). "Not only are these types of foods empty calories, but overindulging in them can contribute to easy weight gain and thus trigger inflammation," says Dr. Luster. 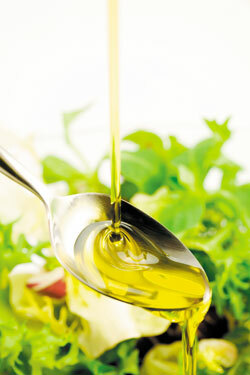 You want to add foods rich in the antioxidants known as polyphenols. Studies have shown that these antioxidants have many anti-inflammatory properties. Which foods are considered the best? A study in the May 2016 British Journal of Nutrition found that polyphenols from onions, turmeric, red grapes, and green tea lowered a marker for inflammation in the body. All types of berries also are rich in polyphenols, as are cherries and plums, as well as dark green leafy vegetables such as spinach, kale, and collards. "The goal is not to consume a certain amount per day, but to incorporate as many of these foods as possible into your regular meals," says Dr. Luster. New research suggests that omega-3s can cross the blood-brain barrier and may help lower inflammation that may contribute to Alzheimer's disease. In fact, a study in the May 21, 2015, issue of Frontiers in Aging Neuroscience examined 40 adults at risk for late-onset Alzheimer's and found that those who consumed more omega-3s performed better than their peers on tests to measure cognitive flexibility—the ability to switch between tasks. Also, a review of 185 studies published in the journal Circulation showed an association between higher amounts of omega-3s in blood levels and protection against atherosclerosis, a condition that can lead to a ministroke or full stroke.